Nicole, the owner of Core Aquatics approached us in April 2014 wanting a Logo creating for her new business idea. She wanted a fun character to represent their upcoming Swim School in Loughborough, UK. 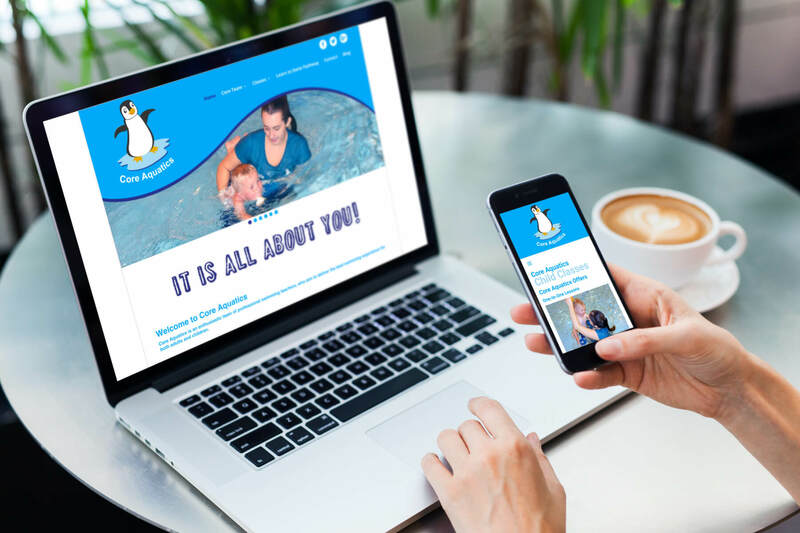 We researched other local swim schools and national swim schools to ensure our ideas stood out from the crowd, and so the Core Penguin was born. Nicole was incredibly happy with the work that we produced and is still a client of ours today! 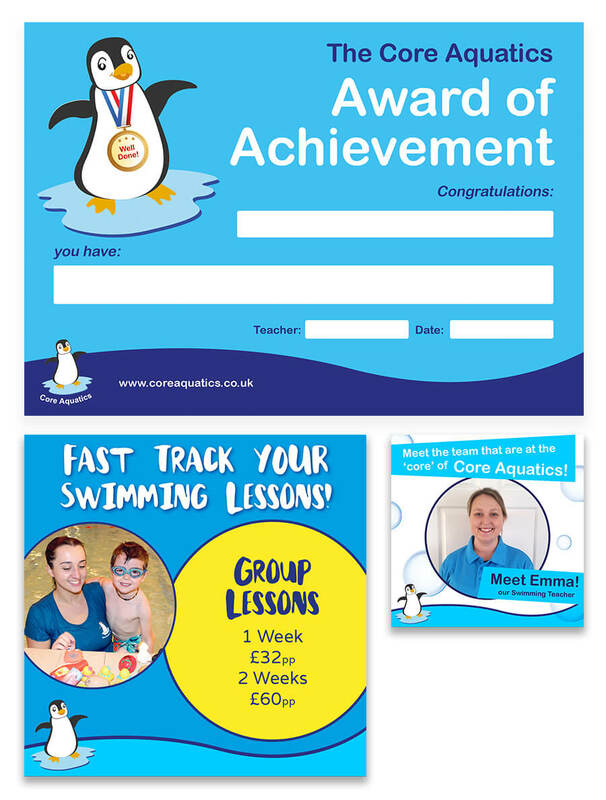 Over the last few years we have designed and developed the Core Aquatics website, produced and printed marketing materials – leaflets, social media cards, shaped penguin giveaway cards, swimming certificates. 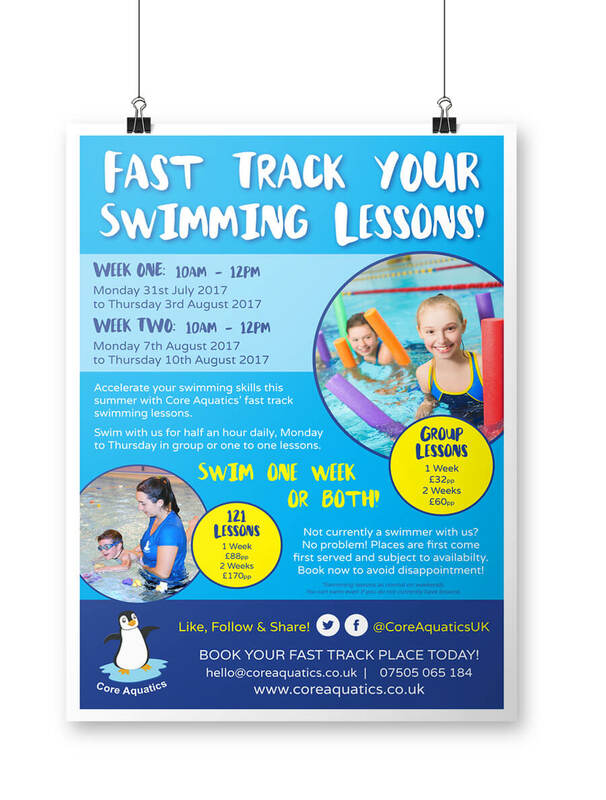 We have also managed the Core Aquatics Facebook and Twitter accounts since January 2017. With an increase in Page Likes in the first month of 867% and post engagements increasing by 1286% – Nicole is over the moon with what we’ve achieved so far! Now and then we like to do a little ad-hoc work using other media skills we have acquired throughout the years. When Nicole asked us to film some classes for a few little intro videos, we grabbed the GoPro and headed to the pool!